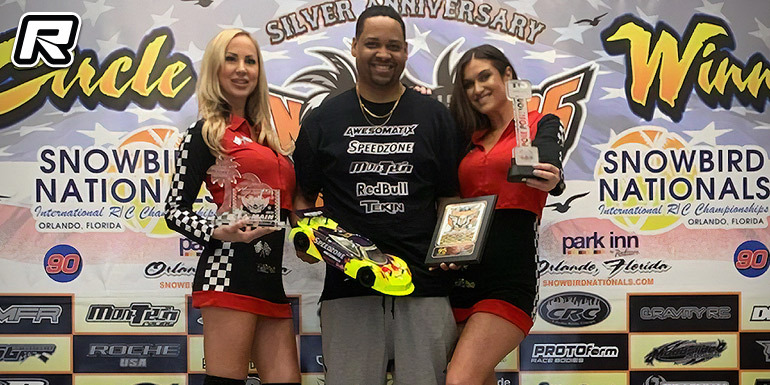 The 2019 Snowbird Nationals was held in Orlando, Florida recently. In USGT 21.5, Dave Johnson would set the early pace and go on to reset TQ in every round and he also came out on top in the single 5-minute A-main and in front of Chris Vogan 2nd and Jared Mowery 3rd. In Touring Stock Can-Am, it would be Johnson again setting the pace and claiming the TQ in Q4. In the main final, Dave brought home a narrow win, only some 0.18s in front of Eric Anderson. Sal Amato came in 3rd a lap down.